Did you know that many electric power outages are caused by trees and brush growing into or falling onto power lines? The trees, vines, and tall brush can disrupt electric power to homes and businesses in your area. In fact, the 2003 Northeast power blackout that affected over 50 million people occurred when an electric transmission line contacted a tree growing underneath it. Wolverine is committed to performing tree and brush maintenance on all of its rights-of-way throughout Michigan to prevent outages and damage to this vital infrastructure. 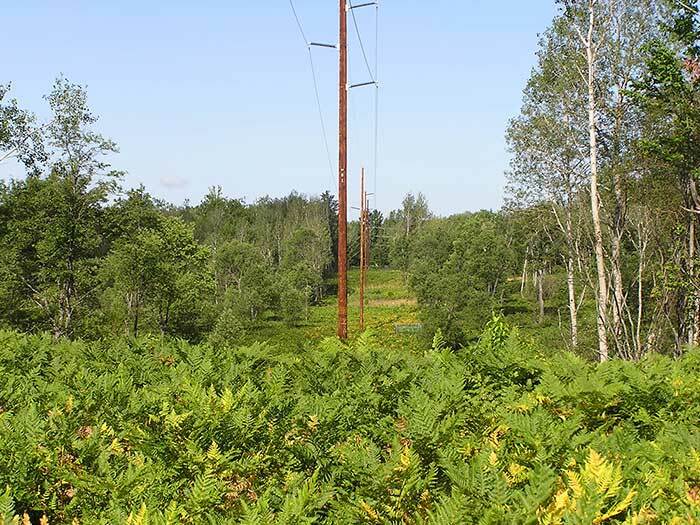 Wolverine manages the vegetation under its electric lines that often cross private property. We take very careful measures to minimize disruptions to property owners while protecting the environment and wildlife habitat. With your help, we can continue to provide reliable and affordable power that is also safe for everyone. Wolverine uses a variety of methods to control the vegetation on its rights-of-way. By identifying the plants that cause the problem, effective work methods can be used that take into consideration safety, impact on environment, efficiency, and cost. These work methods typically use a combination of mowing, hand cutting, and herbicides. The method of controlling vegetation is called Integrated Vegetation Management (IVM). The goal of IVM is to control the tall-growing trees and brush that cause safety and reliability problems, while promoting low-growing plants such as grasses, wildflowers, and shrubs. These plants are more beneficial to wildlife by providing more sources for feeding, nesting, breeding, protection and pollination. There will be some overgrown, brushy areas that may be mowed and others where only hand-cutting is needed. Then there are areas where herbicides are used to control the unwanted vegetation. The herbicides used by Wolverine are registered with the Environmental Protection Agency (EPA) for utility right-of-way use, and are applied by licensed and trained personnel. These products are selectively applied to the target plants and stop the growth and any re-sprouting that may occur. Find out more about vegetation management using herbicides below. Rights-of-way that are managed using IVM can also provide better habitat for many types of wildlife. By eliminating the tree species in a right-of-way corridor, the native grasses, wildflowers, and shrubs that become established increase the usable amount of habitat for more species of wildlife. Bees and butterflies utilize the wildflowers, birds use the shrubs for food and nest sites, and many other species utilize all the vegetation for nesting, feeding, and breeding. Birds and mice also help control the unwanted vegetation by eating the seeds that these plants produce. The low-growing plants can actually suppress the tall-growing, undesirable trees and keep them from becoming established. By maintaining grasses, wildflowers, and shrubs as the dominant plants on rights-of-way, the number of trees, the amount of brush cutting, and the amount of herbicide applied in the future is significantly reduced. Wolverine’s rights-of-way can also be managed to create early successional habitat that is in decline in many areas. They can also help populations of wildlife and plants that may be rare, threatened, or endangered. Wolverine even looks at how they can lessen soil erosion and improve water quality along these areas. The ultimate goal is a more natural and biodiverse ecosystem for everyone. 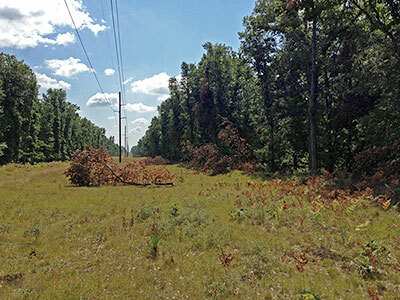 There are a number of things every landowner can do to help prevent tree-related contacts with electric power lines and improve wildlife habitat. A good first step is to only plant wildlife-beneficial shrubs or low-growing trees on the edges of a cleared right-of-way corridor for conservation plantings or when landscaping your property. Wolverine can assist you with a list of compatible species you can plant along its rights-of-way. They can also help you get in touch with other organizations and experts to assist you with projects concerning conservation, erosion control, windbreaks, or other wildlife habitat improvement projects. 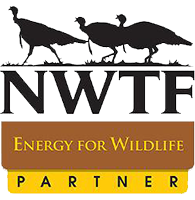 Wolverine is a certified member of Energy for Wildlife, a program from the National Wild Turkey Federation that assists energy companies with improving wildlife habitat while managing vegetation on rights-of-way. Wolverine is a member of the Arbor Day Foundation and follows all tree pruning and training requirements of this national organization. 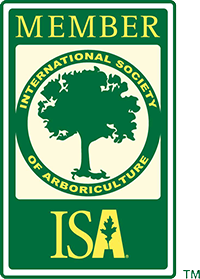 Wolverine’s vegetation managers, as well as its contractors, are Certified Arborists by the International Society of Arboriculture, an organization that promotes the professional practice of arboriculture and fosters a greater worldwide awareness of the benefits of trees. Wolverine is committed to delivering safe, reliable electric service along its 1,600 miles of electric transmission lines. Knowledgeable and selective use of herbicides, through a vegetation management program, is one tool Wolverine uses to achieve this goal. Why does Wolverine use herbicides? Can't brush be hand-cut or mowed? Hand-cutting and mowing are part of Wolverine’s vegetation management program. Unfortunately, hand-cutting and mowing remove only the visible part of the plant, and the roots of the plant remain in the ground. A plant’s natural reaction to cutting is to vigorously resprout from the root in order to survive. Some tree species can resprout and grow ten feet in one season. Treating incompatible tree species with a herbicide kills the roots. By eliminating roots, the endless cycle of cutting/resprouting/cutting is broken. Also, wildlife habitat is enhanced with a diverse mix of grasses and fruiting shrubs. Wolverine applies a herbicide called Garlon 4, which contains the active ingredient triclopyr. It is mixed with mineral oil and applied to the bottom part of the brush stems that are growing in dry, upland locations. This herbicide mix is not applied in or near wetlands. It is applied in strict accordance with manufacturer and Department of Agriculture guidelines. How does the herbicide control the brush? The herbicide disrupts a plant’s ability to move food and water between the roots and leaves. It is absorbed through the stem, where it is applied and then moves into the branches and roots. Wolverine uses this application all season long. After the application, the treated plants may have some small leaves or no leaves at all. This is a sign that the herbicide is working. Eventually, the treated brush dies, usually within four to six weeks. How is the herbicide applied? The herbicide is mixed with a vegetable-based mineral oil and applied just to the lower 24-inches of woody brush and sapling trees. The types of brush and saplings that are sprayed are those that will interfere with the safe operation and maintenance of Wolverine’s transmission system. Crew members wearing backpack sprayers apply the herbicides. The entire right-of-way is not sprayed; only the incompatible sapling trees and brush are sprayed. Low-growing shrubs and fruit trees on the outer edges of the right-of-way that are beneficial to wildlife are not directly sprayed. Wolverine hires trained and licensed contractors certified by the Michigan Department of Agriculture to safely perform the work. Are there any re-entry restrictions following a herbicide application? There are no re-entry restrictions after the application is performed. We do suggest, however, that you wait until the spray has dried completely before re-entry. Just like many household chemicals, unnecessary contact should be avoided. Are the herbicides harmful to people or animals? Garlon 4 affects certain types of food-making proteins found only in plants. People and animals do not have these proteins and are not affected by the herbicides at the ultra-low volume rates applied. In fact, Garlon 4 herbicide actually improves wildlife habitat. 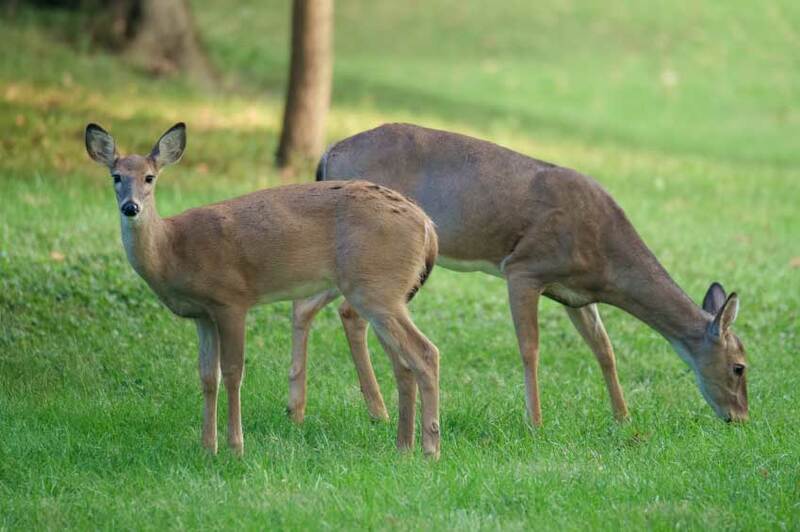 By eliminating incompatible woody tree and brush species, the growth of low-growing grasses and shrubs beneficial to birds, deer, rabbits, insects, and other wildlife are enhanced. The chart compares skin contact with Garlon 4 to skin contact with other common substances. It is highly unlikely that a person will be exposed to the spray mix because it is only applied to the lower parts of the woody stem. 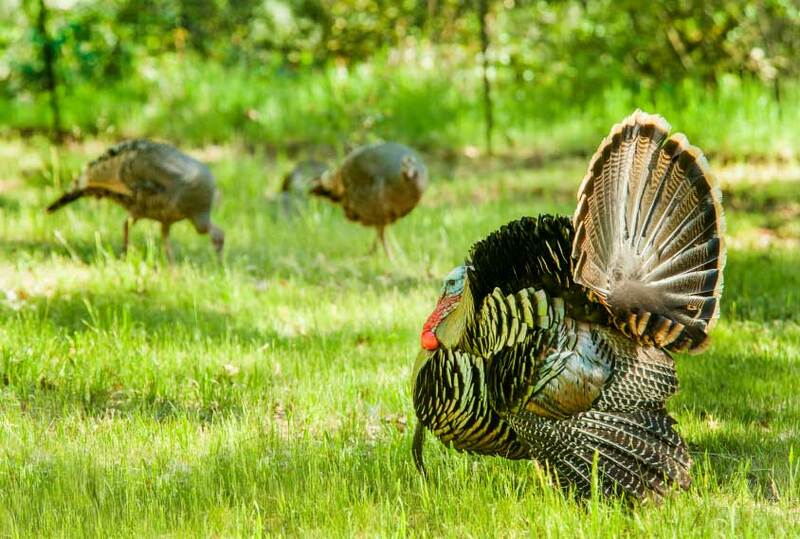 Since the leaves are not sprayed with this application method, it is highly unlikely that animals will consume the herbicide; however, if they do, much of the herbicide is quickly excreted in the urine and feces, and is not harmful. Are berries growing on the right-of-way sprayed? Blackberry and raspberry plants are not usually sprayed since they do not interfere with the power lines. Occasionally, they may be sprayed only in the center part of the right-of-way if a dense patch prevents access for our line maintenance crews. The berries growing beyond the center of the right-of-way are not sprayed. What are the risks to groundwater and rivers? The risks are minimal. First, the herbicide mix is sprayed on the plant stems and not directly on the soil. Second, herbicide that does land on the soil bonds to soil particles in a process called adsorption. The soil holds the herbicides so that they do not seep downward or across the soil. Micro-organisms in the soil immediately begin to break down the herbicides into naturally-occurring compounds.